Family trip to the ocean. Me, Sinda, Tom, Ryan, Bradley, Mandy and Mike all on this trip. We camped at MacKerricher State Park. It was beautiful there. They have a boardwalk that goes around the bluff near the ocean. Elecrical outlets in the bathrooms and even showers! It is free for day use and $12.00 to camp. You can have up to 3 vehicles and 8 people in each campsite. The ocean was beautiful. We could hear it from our campsite and see a glimpse of it from Sinda and Tom's camper. The park is three miles north of Fort Bragg on Highway 1, near the town of Cleone. 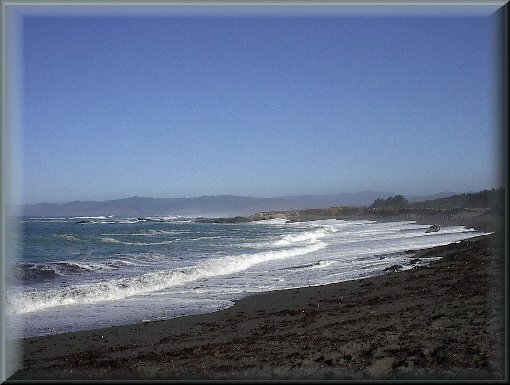 The park encompasses much of the land west of Cleone and a strip of beach between Fort Bragg and Ten Mile River. The Park is the only one in the park system that was at one time part of the Mendocino Indian Reservation. It is the only park unit that was part of the Union Lumber Company's vast timber and shipping holdings in northern Mendocino County. A small, independent logging and shipping operation began here, then was absorbed by the larger corporation. MacKerricher, known historically as Cleone, thus followed a pattern common to many of the small areas in the region. The park was officially opened in 1952; land was added along the Ten Mile beach until 1977, when the park contained more than 1,530 acres. MacKerricher State Park offers a variety of habitats; beach, bluff, headland, dune, forest and wetland. 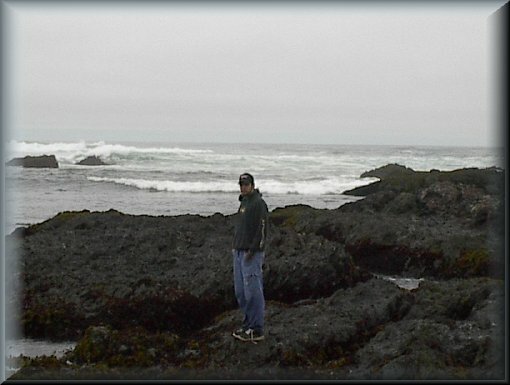 Tidepools are along the shore. Seals live on the rocks off the parks Mendocino coast. More than 90 species of birds visit or live near Cleone Lake, a formal tidal lagoon. During winter and spring, the nearby headland provides a good lookout for whale watching. The park is popular with hikers, joggers, equestrians and bicyclists. Fishing is also popular, with trout in two fresh-water lakes. The park has a wheelchair accessible nature trail.